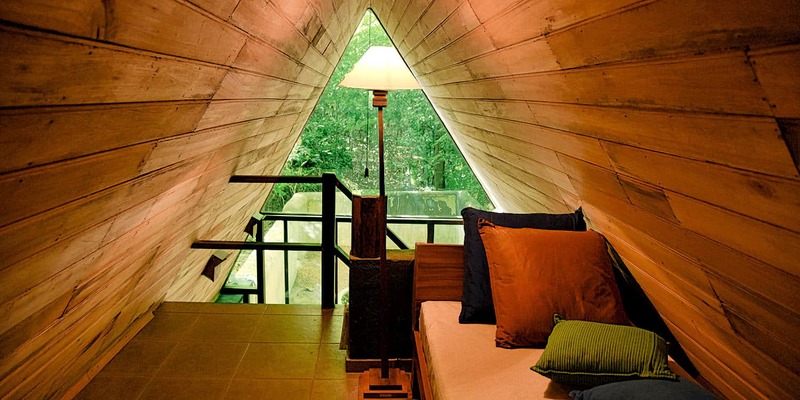 Diyabubula, the Barberyn Art & Jungle Hideaway, is a small luxury lodge, a boutique hotel consisting of five villas, located near the town of Dambulla, in central Sri Lanka. Renowned Sri Lankan artist Laki Senanayake designed the place as a hideaway to compliment his water garden. He chose 100 year old railway sleepers as basic building material. This wood, seasoned by sun and rain over a century, has been combined with sleek and beautiful timber sourced from all over Sri Lanka, and hand-crafted right at Diyabubula. We share this beautiful oasis with Laki: he continues to live and work in his minimalist space. 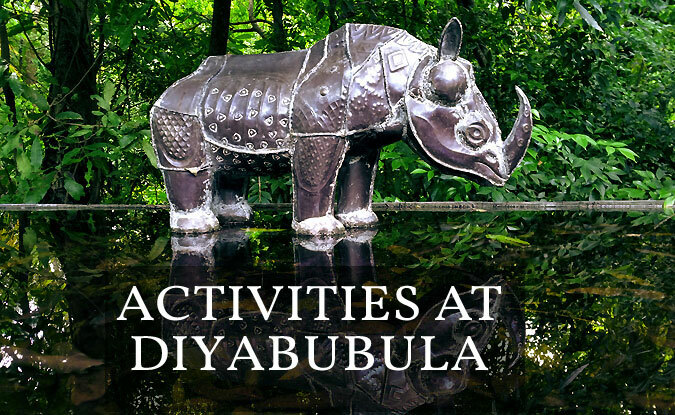 Leave us your email address and we’ll keep you updated about news and offers for Diyabubula. 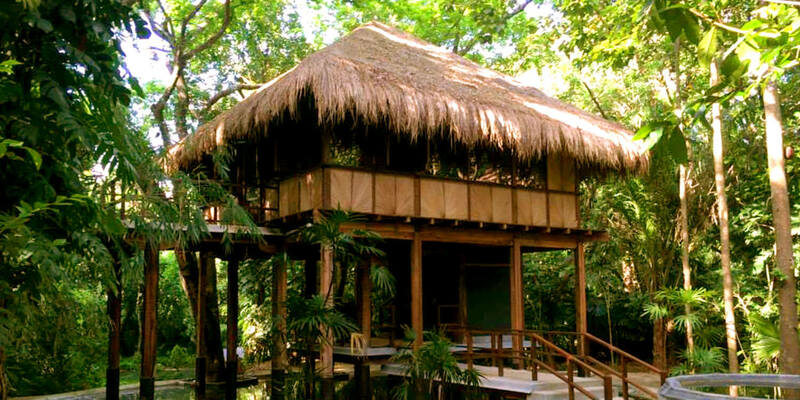 Art in the jungle, World Heritage Cultural Sites, Wildlife Reserves – we have them all. There’s plenty to see inside the resort, from nature to art – click here. A wide range of excursions to some of Sri Lanka’s best known sights – click here. Stay in touch with facebook. The small and cozy dining room of our boutique hotel serves breakfast, lunch and dinner. 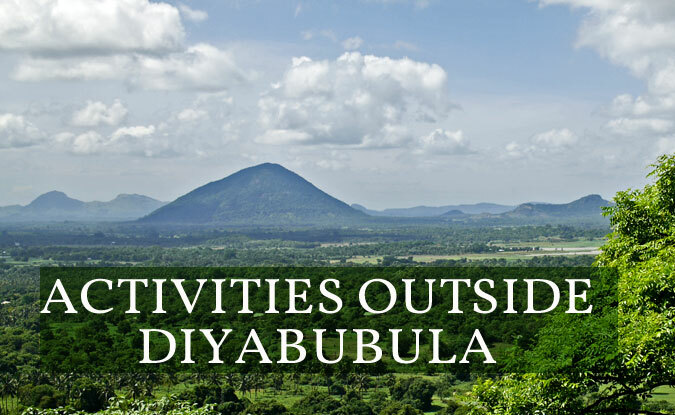 Your comfort at Diyabubula means everything to us: if you like to get some refreshments or snacks outside meal times, our chef will be happy to produce everything your heart desires. Fresh fruit juices and tea are available all the time. In accordance with the Barberyn philosophy, we do not serve meat, and we do not serve alcohol. We serve fresh vegetables, fruits, fish and seafood, deliciously prepared by an experienced chef and his staff. 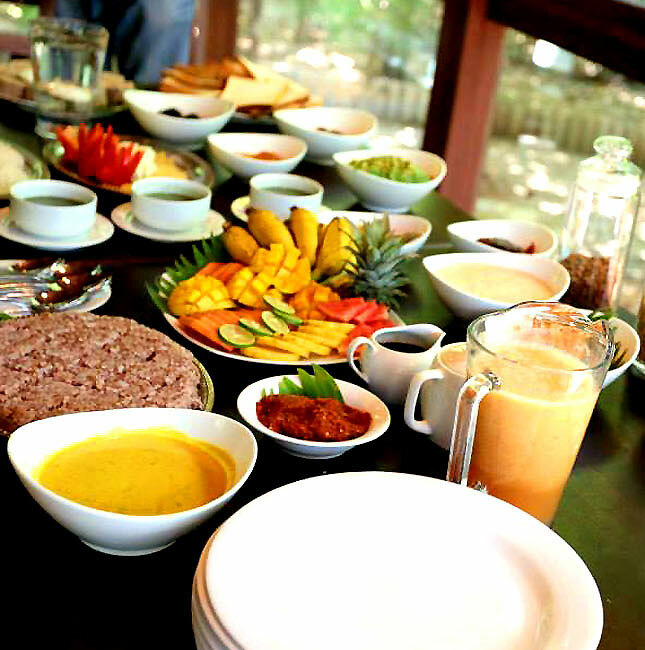 Breakfast comes international style – start the day with Western dishes as well as Sri Lankan specialties. Lunch could be a Sri Lankan meal of rice with a range of curries and fish. If you desire just a light meal, order spaghetti, lasagna, or anything else – just inform the chef in time. He will prepare all dishes freshly. Dinner will be Western style – consisting of a starter, soup, main dish and dessert. Every day, our chef will discuss your choice of dinner menu with you. Daily rates are per room and include full board accommodation, service charges and government tax. All prices in Euro. Daily rates include accommodation, service charges and government tax. All prices are in Euro. Daily room rates are inclusive of housekeeping charges. A 24 hour front desk is available for our guests.